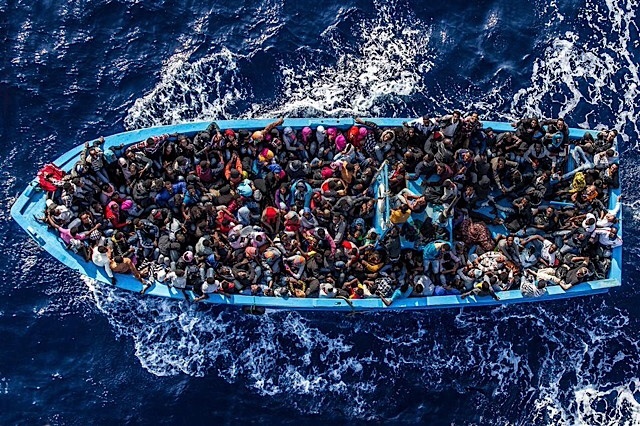 The EU’s new leadership must boost air and naval power in the Mediterranean to rescue migrants who are dying in record numbers trying to reach the continent’s shores, Amnesty International said Sept. 30. A new report by the British-based campaign group described a “Fortress Europe” blocking out migrants and refugees, many of them fleeing unrest in Syria and other countries in the Middle East and North Africa. The report’s release in Brussels came hours before the European parliamentary confirmation hearing of Dimitris Avramopoulos, Greece’s incoming European Commissioner for migration and home affairs. The International Organisation for Migration said Monday that more than 3,000 migrants have died trying to cross the Mediterranean so far this year, more than double the previous peak in 2011. Just STFU. They’re not wanted.